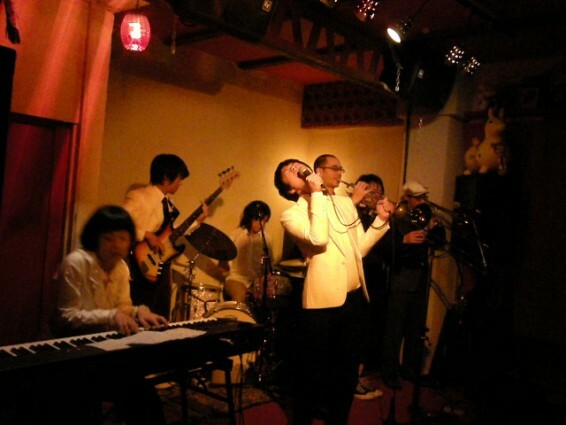 A big band (though they don’t sound very jazzy) who mainly performs in the Kansai area. The band was formed by Reitaro Kimyou and Takashi Yasuda in 2007. Began performing live in 2008. In April 2008, released the album “King of Music”. Released a 2CD album that features tracks from both Strange Reitaro Travel Swing Ochestra and Reitaro Kimyou’s solo project. In 2012, released “Sakura Fujisan”.